StarCraft II made its debut on July 27, 2010. 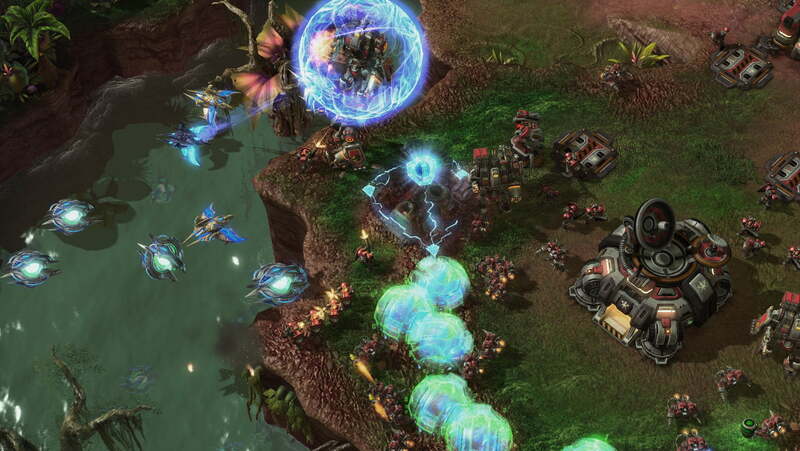 The release was a huge event, as StarCraft fans had been anxiously awaiting a sequel to what has long been considered one of the finest real-time strategy games ever created since it first appeared in 1998. Likewise, fans have been intently awaiting the first expansion pack for StarCraft II almost since the game first hit store shelves. Dubbed “Heart of the Swarm,” StarCraft II’s first big, official addition will finally be released on March 12, 2013, and in an effort to make the expansion as excellent as it can possibly be, developer Blizzard Entertainment has been running a semi-public beta test for the title for months now. As of this morning Blizzard offered up a piece of news that should be quite enticing to those prospective players of Heart of the Swarm who have long been hoping that they too might get a chance to play the title prior to its official release. While the beta test is still only available to a select group, Blizzard has expanded the terms under which people can gain access to the beta. Specifically, anyone who pre-ordered the title prior to December 18 is now able to download the beta client and start playing the current iteration of Heart of the Swarm right this very minute. Assuming you pre-ordered the title digitally (that is, via Blizzard’s propriety Battle.net digital distribution system), your name has been entered into Blizzard’s pool of eligible beta testers. From now until a currently-unknown date in the future — likely two weeks prior to Heart of the Swarm’s official debut, if Blizzard history is anything to go by — Blizzard will be plucking large numbers of players from this pool each week to add to the beta test. Once your Battle.net account is selected the company will send you an email congratulating you for being so fortunate and offering up full details on how to acquire and play the beta test. As part of this, players agree to hypothetically report any and all bugs and gameplay issues they might discover while playing (though, in fairness, no one will revoke your beta access if you simply opt to enjoy the expansion without offering any feedback). As with all of Blizzard’s beta tests, once your name has been drawn you need not pay any additional cash for access, though obviously to be chosen in the first place you must have paid off the game in full as part of its digital pre-order. Assuming none of this interests however, your other option is to simply wait for Heart of the Swarm’s official release. Come March 12 the game will hit retail shelves and Battle.net’s digital download service with an attached $40 price point. As with all Blizzard releases that’s the cost for the standard edition of the game, while truly devoted fans of StarCraft II will also have the option to spend $80 for a Collector’s Edition of Heart of the Swarm that includes a soundtrack CD, a behind-the-scenes featurette on both DVD and Blu-ray, a 144-page book detailing the concept art and other aesthetic assets found in the game, and an exclusive “Zerg Rush” mousepad.